Join me Thursday, December 13th, for a live conversation with returning guest Cal Newport, to talk about his new book, So Good They Can't Ignore You: Why Skills Trump Passion in the Quest for the Work Your Love. While not a book about education, it is a attempt to debunk the "long-held belief that 'follow your passions' is good advice," which is increasingly a narrative we hear in education conversations. My interview with Cal about one of his previous books, How to Be a High School Superstar, has informed my thinking in so many ways--and leads me to recommending the book on a regular basis. Let's see if he can convince me once again! Recording: A full Blackboard Collaborate recording is at https://sas.elluminate.com/p.jnlp?psid=2012-12-13.1452.M.9E9FE58134BE68C3B413F24B3586CF.vcr&sid=2008350 and an audio mp3 recording is at http://audio.edtechlive.com/foe/calnewportsogood.mp3. Other interview recordings are all available at http://www.futureofeducation.com. Mightybell: A Mightybell space with interview resources and conversation is at https://mightybell.com/spaces/17277. 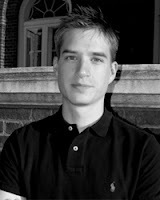 Cal Newport is an Assistant Professor of Computer Science at Georgetown University. He previously earned his Ph.D. in Electrical Engineering and Computer Science from MIT in 2009, and graduated Phi Beta Kappa from Dartmouth College in 2004. Newport is the author of three books of unconventional advice for students, which have sold a combined total of more than 100,000 copies: How to Be a High School Superstar (Random House, 2010), How to Become a Straight-A Student (Random House, 2006), and How to Win at College (Random House, 2005). In his role as an author, Newport has appeared on ABC, NBC, and CBS and on over 50 radio networks. His writing and ideas have been featured in major publications including the New York Times, Washington Post, Wall Street Journal, and FastCompany.com. His Study Hacks blog, which chronicles his attempts to decode "patterns of success," attracts over 100,000 unique visitors a month.